"Melody is king, and don't you ever forget it"
but as every musician will tell you this is the most difficult of all musical challenges. Cajan Witmer came up with the idea of recording a collection of songs, with the focus primarily on the melody and have every improvisation and embellishment being inspired by the song itself. 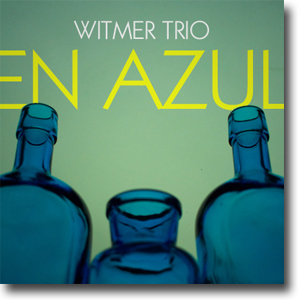 Witmer's almost vocal presentation of the melody and refined melodic improvisations, Slinger's lyrical touch and strong secure rhythmic feel combined with Kruiswijk's inventive drum patterns, which on some songs resembles 3 subtle percussion players instead of one drumset, are fulfilling the task admirably. Cajan Witmer and his companions, bassist Han Slinger and drummer Maarten Kruiswijk, has worked together for 21 years, and the empathy they feel for each other is evident throughout this recording. When creating the sound stage, we spent a great deal of time getting the balance of the trio as optimal as possible using the ambient microphone stereo pair placed in the ''sweet spot'' in studio 2, before adding the spot microphones. We wanted to create a sound field that was intimate but also with enough depth to have a visual representation of the instruments. In a sense we adopted the same philosophy as Cajan Witmer in his arrangements, we wanted the melodic part of each instrument to stand out but not overshadow the whole, thus the paino and the drums have been given a position in the sound field, not spread out Left to Right as are more common in commercial recordings. The benefit with this approach is that you can actually see the trio in front of you between the speakers, standing left to right, instead of the more common, commercial radio friendly approach, with the instruments piled on top of each other. ''The memory of things gone is important to a jazz musician. Things like old folks singing in the moonlight in the back yard on a hot night or something said long ago." Recorded on March 15th and March 16th, 2015 in Studio 2 of the Muziekgebouw van de Omroep in Hilversum.